Having an emergency response service ensures that you or a loved one can get needed help in an emergency. LifeFone can also help you with some of the more routine but important aspects of daily living to ensure your well-being. We offer additional care tools such as check-in services, medication reminders, system status alerts, and subscriber location service for those who subscribe to our on-the-go systems. Subscribers check in with us daily using their base unit. We make daily outbound calls to the subscriber. Tells subscriber what medication(s) to take and when to take it. Indicates location of the subscriber’s LifeFone mobile device as needed. LifeFone’s Activity Assurance Service enables subscribers to check-in with an emergency care agent in our call center each day. By pressing a button on their base unit, it lets us know whether or not they are at home and responding to the reminder. This service is available with our At Home Landline Service only. Who is eligible? 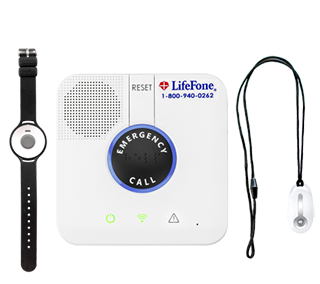 Subscribers to LifeFone’s At Home Landline or Cellular Emergency Response Service. This is in addition to the cost of the At Home Landline or Cellular Emergency Response Service. How it works: Each day at a set time (you set the time), the base unit generates a beeping tone. The subscriber can stop the beeping tone simply by pressing a button on the console, assuring LifeFone (and the subscriber’s loved ones) that the subscriber is at home and responding. If the subscriber does not respond to the reminder within 15 minutes, an alarm is sent to our alarm center and received by a customer care agent who will then place an outbound call to the home to check on the subscriber. If the subscriber does not answer the phone, we then follow his or her emergency care instructions. We recommend separate emergency care instructions specifically for this service. Not responding to the activity reminder may not necessarily mean that the subscriber is having an emergency; it may mean that he or she is not at home and forgot to let us know. For this reason, before we send emergency responders to the home, it often makes sense to call a family member who may know whether or not the subscriber is home. Accordingly, we ask for you to provide us with specific emergency care instructions with respect to this check-in service. The subscriber pre-selects the time of day for reminder. If the subscriber will not be home on a particular day at the time of the daily reminder, or if the subscriber will be away for a 24-hour period or longer, you must notify LifeFone so that we will know not to expect a daily notification during that period. We recommend a lock box for this service. 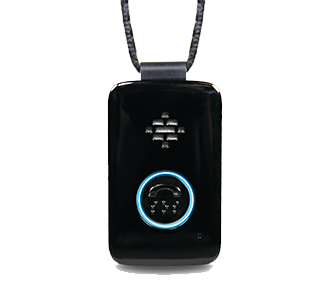 It will enable a responder who needs to enter the home without damaging the home to gain entry. We can provide you with a lock box to securely store the key to the subscriber’s home. You choose a four-digit code that we will program on your lock box. We provide this code to emergency responders, avoiding the responder to forcibly enter and cause damage to the subscriber’s home. View our lock boxes. With the daily reminder service, LifeFone care agents will make a daily outbound call to the subscriber. You customize the calls to fit your needs. We can call simply to find out if the subscriber is ok, provide him or her with a medication reminder, or any type of reminder you would like. Each day, the subscriber will hear the warm, friendly voice of a customer care agent who knows him or her by name and is concerned with that subscriber’s well being. Who is eligible? All LifeFone subscribers who request this service are eligible to receive a daily reminder or check-in call, regardless of which LifeFone service or system you are using. Cost - $19/month for LifeFone subscribers. This is in addition to the cost of your LifeFone emergency response service. How does it work? The subscriber can preselect time of day and type of call the subscriber would like to receive (e.g. a check-in call, medication reminder, or something else). If the subscriber will be away during the scheduled call time, please notify LifeFone beforehand and we will not call during that time. We recommend separate emergency care instructions specifically for this service. Not answering a daily call may not necessarily mean that the subscriber is having an emergency; it may mean that he or she is not at home and forgot to let us know. For this reason, before we send emergency responders to the home, it often makes sense to call a family member who may know whether or not the subscriber is home. Accordingly, we ask for your specific emergency care instructions with respect to this check-in service. LifeFone’s medication reminders will tell a subscriber when and what medication(s) he or she needs to take on a daily or weekly basis. These reminders are entered and can be updated as needed by a caregiver authorized by the subscriber. Who is eligible? This service is available to LifeFone subscribers who use our cellular At Home 3G Cellular, At Home Fall Detection, At Home & On-the-Go GPS, or At Home & On-the-Go GPS with Fall Detection Systems. Cost - $6/month for LifeFone subscribers using one of the above-mentioned systems. This cost is in addition to the cost of your above noted, eligible emergency response system. NOTE: For $9/month, you can have Medication Reminders along with LifeFone’s Location and Notification Services. For the caregiver: Once authorized by the LifeFone subscriber, a caregiver will be given access to the LifeFone Caregiver Portal. There, you can upload up to four (4) reminders per day with up to ten (10) medications with each reminder. (You can also include dosage information for your records, but the dosage amounts are not displayed to the subscriber). You can update or delete the medication reminders as needed, and you can disable them if the subscriber will not be home. You can also view reminder history to learn which medication reminders have been accepted and which, if any, have been ignored. Additional Feature: At no additional cost, subscribers to LifeFone Medication Reminders will also have access to Notification Settings that can be found in the LifeFone Caregiver Portal. 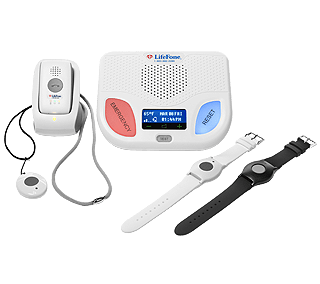 Here, you can access information about your LifeFone emergency response system and designate people who will also get that information via email or text. For example, you can request system status alerts (e.g. low battery, base station disconnected from a power outlet, system test, and also an emergency event). These contacts are in addition to the subscriber’s designated call list responders – the emergency contacts that are notified in the event of a medical or other emergency by phone. To make any changes to the emergency phone contacts, you must call customer service at 1-800-940-0262. 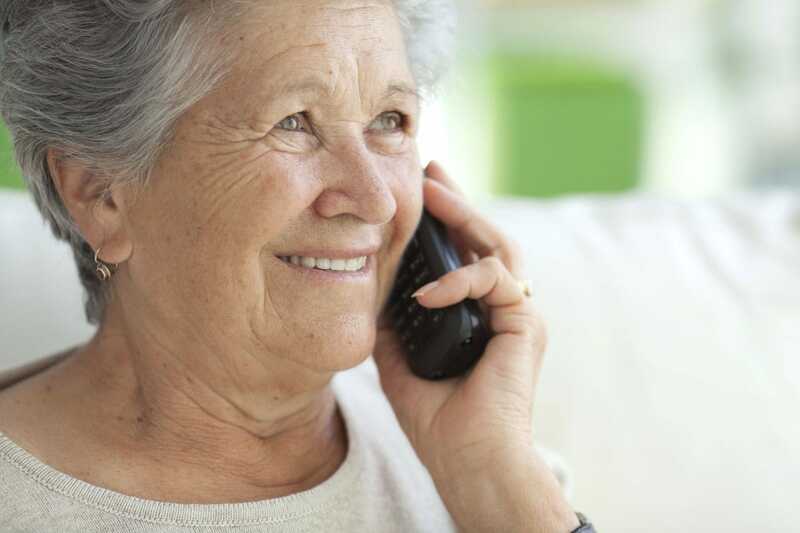 LifeFone’s Location Service enables a caregiver authorized by the LifeFone subscriber to know the location of the subscriber’s LifeFone mobile device if the subscriber uses one of LifeFone’s two on-the-go systems. This is a feature that can be hugely helpful if and when you need to locate a loved one whom you can’t reach otherwise. Cost – $9/month for Location Service, Medication Reminders and Notification Settings. This is in addition to the cost of the LifeFone PERS system. This fee includes 30 location requests per calendar month. LifeFone’s location requests do not rollover to future months. Each additional 30 location requests costs an additional $5 per month. There is no pro-rating. How does it work? When you access the LifeFone Caregiver Portal, you will have two options. 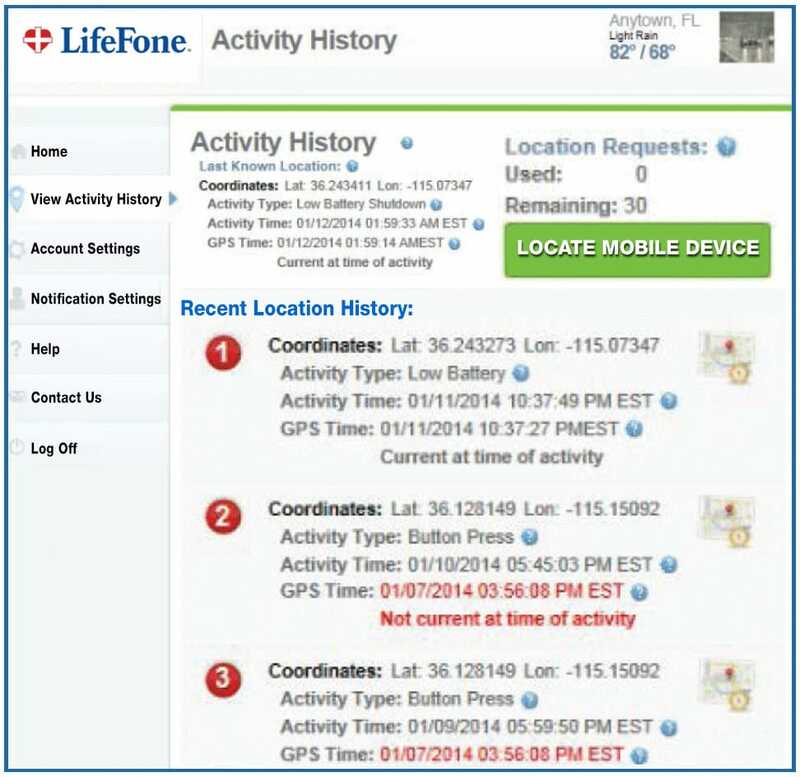 First, the LifeFone mobile device automatically attempts to obtain a GPS lock periodically throughout the day so you can view the coordinates of the last known location for the mobile device and the time of the last activity (e.g. button press, location request, low battery or shut down). You will also find the recent location history, which is a list of the last four locations of the device listed from newest to oldest. Second, you can proactively request the device’s current location by pressing the “Locate Mobile Device” button on the Activity History page within the portal. You should have results within five minutes. Additional Feature Notification Settings. At no additional cost, subscribers to LifeFone’s Location Service will also have access to Notification Settings that can be found in the LifeFone Caregiver Portal. Here, you can access information about the subscriber’s LifeFone System and designate people who will also get that information via email or text. For example, you can request system status alerts (e.g. low battery, base station disconnected by a power outlet, system test, and/or an emergency event). These contacts are in addition to the subscriber’s designated call list responders – the emergency contacts that are notified in the event of a medical or other emergency by phone. To make any changes to the emergency phone contacts, you must call customer service at 1-800-940-0262.